Acclaimed novelist Stewart O'Nan, a Pittsburgh native, publishes his first novel since his return. A decade ago, Stewart O'Nan tried writing an epic horror novel. He traveled to Sandusky, Ohio, to research the setting, a Cedar Point-like amusement park. He had it all plotted: "a metafictional horror novel ... a big Stephen King-like 700-pager," says O'Nan today, over hot dogs at D's Six Pax & Dogz, near his home in Edgewood. The project failed. "I had it all figured out and that was the problem. I started to write it and there was no discovery there." Then something else in Sandusky caught his eye. "There was a woman driving through town in her station wagon, going to close down her lake house. And she became interesting to me. And so I was like, 'Ohhh, OK. Maybe I'll follow her and see what happens.'" That anecdote tells something about how O'Nan sees the world. The brief encounter birthed 2002's Wish You Were Here, which tracked the fortunes of O'Nan's fictional Maxwell family through a week of vacation. 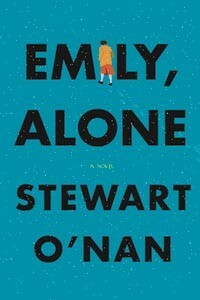 Now comes Emily, Alone (Viking), O'Nan's new novel about a few months in the subsequent life of the widowed Maxwell matriarch. In Emily, Alone, O'Nan's eye for detail and deep regard for the everyday are in high relief. His educated, middle-class septuagenarian, whose grown children live far away, spends most of her time with her dog; her bedtime is 9:30. So when her sister-in-law is hospitalized, her quiet life turns topsy-turvy. O'Nan documents Emily's life down to the bread crumb; one short chapter is about how she keeps her Kleenex boxes ordered. While Emily lives (as his own grandparents did) in Highland Park, O'Nan wrote most of the book in Connecticut. Though the acclaimed novelist grew up in Pittsburgh, he lived elsewhere for three decades; his 12th novel is his first published since he and his wife moved back, in 2009. In his novels and works of nonfiction, O'Nan is noted for switching gears. He's jumped from near-gothic historical novel A Prayer for the Dying and a thriller narrated by dead teen-agers (In the Night Country) to a portrait of a woman with an imprisoned husband (The Good Wife), a baseball fan's notes (Faithful, co-written with fellow Red Sox fan Stephen King himself) and an elegy for a fast-food joint (2007's Last Night at the Lobster). 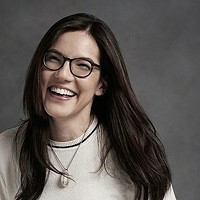 Since winning the 1993 Drue Heinz Prize for Literature and being named one of the journal Granta's best young American novelists, in 1996, O'Nan has garnered wide critical praise. "It's easy to imagine that O'Nan is on a kind of mission to restore a simple, true sense of humanity to the novel," wrote Erica Wagner, literary editor of the Times of London, reviewing O'Nan's 2008 novel Songs for the Missing. O'Nan says Emily is about loneliness, isolation and "how people endure things." And despite his fiction's wide-ranging subject matter, he says, his approach is always the same. "To me it's about, 'What is it like to be you?'" he says. "The moments that I choose to show of Emily are moments that stay with her and stick with her, and confuse her, and sometimes bother her. These are moments that are important to her, but she's not always sure why they are important to her." 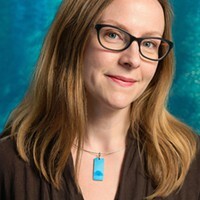 O'Nan's avowed literary influences include the Southern gothic sensibility of Flannery O'Connor. But he says Emily hews closer to Flaubert in such stories as "A Simple Heart," a portrait of a 19th-century village maidservant. "[T]he anti-epic approach," O'Nan calls it. "An old lady living alone with her dog -- to me, that's really interesting." 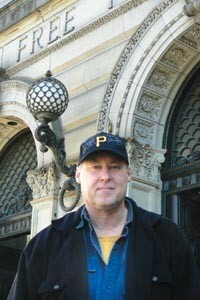 Stewart O'Nan appears at noon, Thu., March 24 (Barnes & Noble, Duquesne University, Uptown; 412-434-6626) and 7 p.m. Thu., March 24 (Penguin Bookshop, Sewickley; 412-741-3838). Both events are free.